On a first trip to the French capital, many visitors find themselves a bit confused by the public transport network. They often arrive in Paris at the Gare du Nord station via the airport, on a train referred to as the "RER B". This may lead them to assume that the train in question is part of the city's main metro network-- when in fact it's part of a separate, regional system. But what exactly is the difference between the metro and the RER-- and why does this matter for visitors trying to get around the city in the most efficient way possible? "RER" is an acronymn for Réseau Express Régional, or Regional Express Network, and refers to the rapid transit system which serves Paris and its surrounding suburbs. The RER currently has five lines, A-E, and is operated by an entirely different company than the Paris metro. For this reason and a few others, travelers often find the RER a confusing and slightly difficult system to use; yet it can be very handy for getting quickly from one side of the city to the other, or for taking day trips outside of Paris. 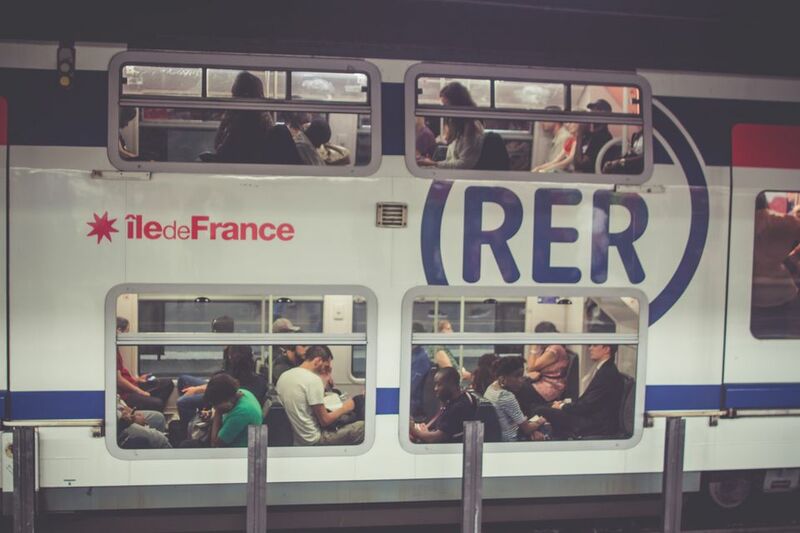 Learn all about how to navigate the RER without stress or confusion by reading further. Pronunciation: In French, RER is pronounced "EHR-EU-EHR". It's a bit tricky for non-native French speakers, admittedly! You can feel free to pronounce it as you would in English when addressing transportation staff, but be prepared to hear it said the French way-- when in Rome, and all. Where Do the RER Trains and Lines Go? The RER's five high-speed lines shuttle thousands of commuters and tourists every day to nearby destinations including the La Defense Business District; the Chateau de Versailles, and Disneyland Paris. They're a great option for day trips in close reach of Paris. Additionally, the RER Line B serves Paris' two main airports, Charles de Gaulle (around an hour north) and Orly (about 30 mn south from the city center). See our complete guide to the airports of Paris to learn more about using the RER as a way of getting into the city and back to the airport using this mode of transportation. To avoid unnecessary stress and ensure you get around the city like a real pro, make sure you have a good handle on public transportation in the French capital ahead of your next trip. Read the following resources to get a sense of how the city's transportation systems work, and learn more about buying daily and weekly passes suited to your needs and budget. For even more practical information on visiting the city of light, and tons of tips on where to go and what to see, as well as helpful primers on Parisian culture and French language, see our complete beginner's guide to Paris.